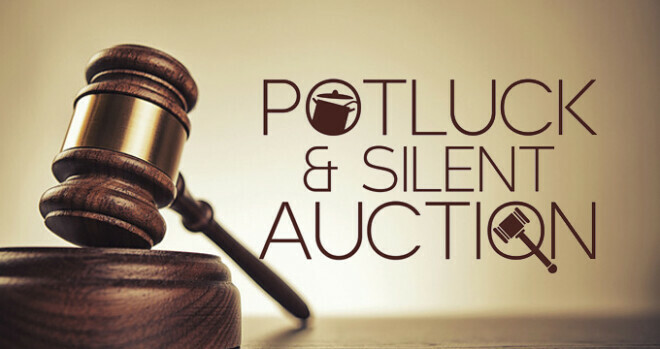 Join us for a pot luck meal and a silent auction to raise funds for St. Paul ministries. Bring your favorite dish to share, and come ready to bid on all kinds of great items! Open Arms: Food and clothing for those in need. Serves about 4000 a month. Back to School Jubilee: School supplies and backpacks distributed to hundreds of local kids each year. Carpenter's Shop: Wooden toys made for children in traumatic situations. Toys are distributed by first responders. Jumpstart: Free after school mentoring and tutoring program for middle-schoolers. Pack-a-Sack: Weekend food resources for hungry kids in our school system. Caring Ministries: Ministries that offer emotional support and more to those going through a difficult time. Children and Youth Ministries: Children and youth grow their relationships with the Lord, learn to serve others, and more. Your gifts help St. Paul continue to reach out into our community and share the love of Christ.